Aksharadhool: A breakthrough in controlling plastic garbage. A breakthrough in controlling plastic garbage. Last year, I made a day trip to Buddhist rock cut caves from 2nd century CE, at village Karle'n, about 50 Km from my hometown Pune. The Karle'n caves were excavated by Buddhist monks to establish a Buddhist monastery on a steep hill slope at least few hundreds of feet up from the ground level. To approach the caves, one needs to walk up a large number of steps cut into the steep hill slope. The steps are paved and it is a pleasure to climb the flight of steps. As you walk up the steps, you can see deep gullies sloping downwards on both sides of the steps, perhaps formed by the flooding torrential rain waters rushing downwards the slope, over Millions of years. While climbing up the steps, I had then looked at the steep gullies formed in the rocks on both sides, when my mind was repelled with utter revolt and disgust with a nauseating feeling. The side gullies were overflowing with garbage mainly consisting of plastic bags and bottles, paper, thrown away food and flowers. This historically important place was paying the price for its popularity by becoming a giant trash can. 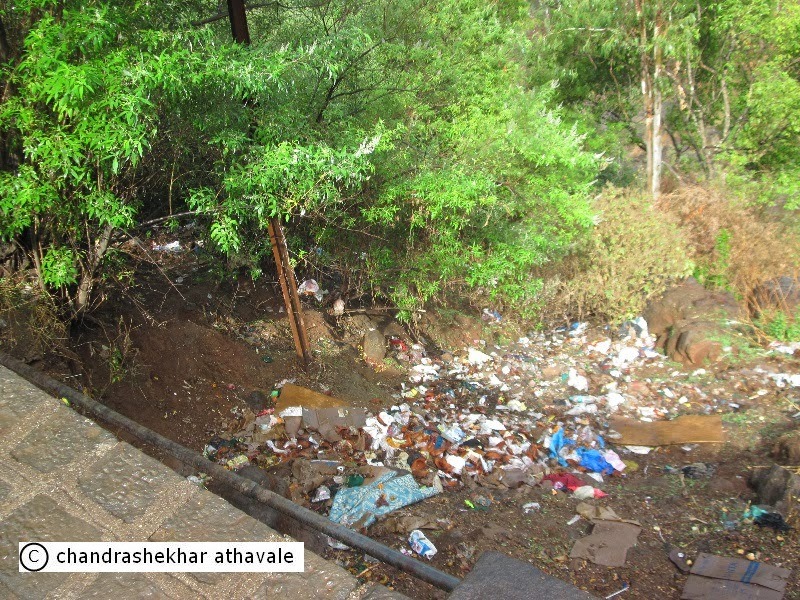 However, Karle'n can not be considered as an unique or isolated case of plastic garbage dumped. Almost every public place and sides of most of the roads in my home state of Maharashtra are also usually seen overflowing with plastic garbage. The local governments here, have been trying to control use of plastic bags by banning them. Unfortunately, such is the comfort and convenience of these bags that in spite of the ban, they are still being widely used and are also being widely thrown around. Ask any environmentalist, he would give you sermons on dangers caused by all these plastic garbage and how it is damaging our environment, leave aside the beauty of countryside. From an environmentalist's point of view, plastic objects, from our everyday bags, which we get free in shops, to large containers, are all unfortunately infamous for their immortality. They can survive for hundreds or even thousands of years without any degradation and are often the major cause for indestructible mounds of waste around the cities. There is a glimmer of hope however, for the environmentalists. Two academic institutes from the Indian state of Gujarat have come up with a solution. They have discovered gluttonous bacteria that can eat up or degrade plastic within a few days. The first of these two institutions is The school of environment of the Central University of Gujarat (CUG)in Ahmadabad city, capital of the Gujarat state, which incidentally is also one of the top consumers of plastics among 64 non-metro cities in the country, according to a study by the Central Pollution Control Board ( CPCB). 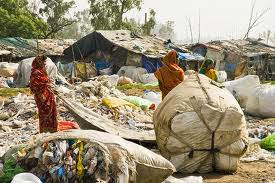 Ahmadabad has a site where all city garbage is dumped. The Pirana dumpsite is called as the ugliest sight from the city by many of its inhabitants. The dumpsite, which has already reached its saturation point, has accumulated over last 33 years, a mountain of 18 Million metric tonnes of waste. CUG scientists who have been working on the garbage from this dumpsite, say that besides plastic, even hazardous, e-waste and metal waste is dumped there. Dean of school of environment at CUG, M F Fulekar, who led the research team says: "My team found eight different potent bacteria that decompose plastic. The effective decomposition period under lab condition was 30 days and they were able to successfully identify the most potent bacteria families that would work on Pirana plastic waste.” He adds further that the bacterial cultures were developed separately and then added to the waste mixture at three different temperature stages. The first was at 25 degree Celsius, the second culture was added at 40 degree Celsius and the third bacteria culture was added between temperatures of 45 to 60 degrees. CUG scientists are confident that the bacteria will work on the landfill site. The second institution, which also has been successful in locating such plastic eating bacteria is 'A&R Patel Institute of Biotechnology and Allied Sciences (ARIBAS). They have been working on the Umreth landfill site. They have tested another set of bacteria on plastic pellets collected from this garbage dump. The team of researchers here is led by Devjani Banerjee. 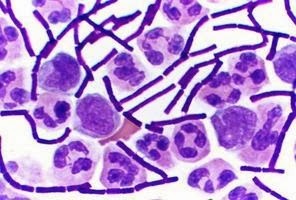 At ARIBAS, they have identified one bacteria belonging to a family known to scientists by its scientific name Micrococcaceae gram positive bacteria. Gram staining (or Gram's method) is a method of differentiating bacterial species into two large groups (Gram-positive and Gram-negative). The name comes from its inventor, Hans Christian Gram. They have also identified two more bacteria belonging to the Enterobacterceae family. These three bacteria decomposed three different types of plastics — low density polyethylene, polypropylene and polyvinyl chloride powder. Garbage disposal is one of many major problems faced by almost all urban conglomerates in India. In my home town of Pune, the local Government body finds itself in a crisis situation most of the time for this reason. If the bacteria found by Ahmadabad scientists are effective in controlling plastic waste, it would be real breakthrough in curing a menace that is threatening to create enormous environmental damage. Where can we find published versions of the researches?